Part of the success of Greg Coleman Law has been our collaboration and partnerships with other law firms and co-counsel attorneys. 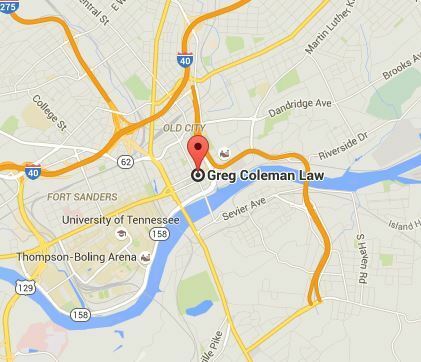 As a leading law firm in Knoxville, we welcome the opportunity to work with other firms. When we partner with another firm or lawyer, we bring the same level of commitment and drive that we provide to our own clients. We also bring our years of experience and vast resources, and are available to assist you at every stage of the legal process. Founding partner Greg Coleman and the rest of our esteemed personal injury lawyers have decades of experience obtaining favorable verdicts and settlements for countless injury victims. Several of our greatest accomplishments have been a result of successful co-counsel partnerships. At Greg Coleman Law, we are committed to helping those who have been injured because of another’s wrongdoing, and we value our relationships with other firms that share those same beliefs. Our attorneys work tirelessly on behalf of the injured and fight to help make sure they receive the maximum compensation they deserve. Contact us today if you are interested in discussing the opportunity of developing a co-counsel relationship. We work with attorneys handling all types of cases and have the knowledge and experience to bring success to both you and your client.